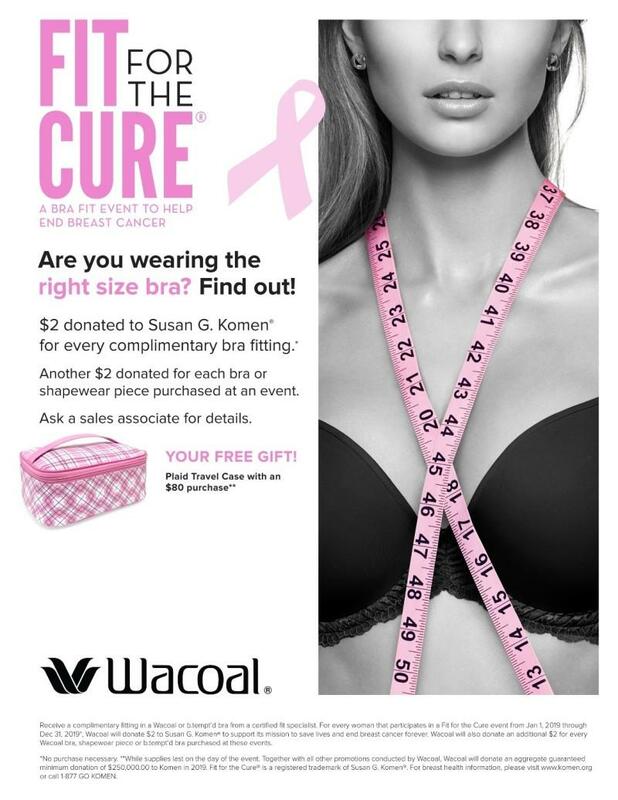 Macy's is proud to host this year's Wacoal Fit For The Cure Event on April 24th from 10am - 4pm. Sign up for a bra fitting in advance by calling 269-324-4400. Appointments are encouraged. $2 donated for every complimentary bra fitting. Another $2 donated for each bra or shapewear piece purchased. Get a Free plaid travel case with an $80 puchase. While supplies last.